Panels are basically Q & As with our guests. They give you the chance to interact with our stars personally in front of hundreds and thousands of fans. They are free to all ticket holders. Twitch TV Channel If you can’t attend, watch panels on our Twitch Channel. 4pm At the Fire Place bottom floor is the Kids Costume Contest. Just show up in costume and enter to win. 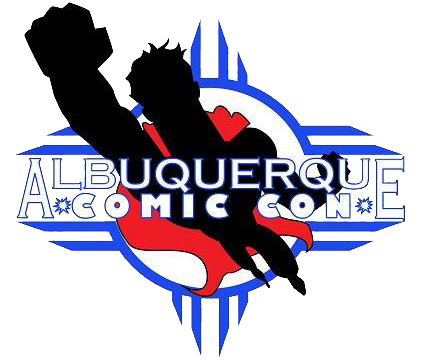 Las Cruces Game Knights bring you hundreds of games to play at Albuquerque Comic Con 2019. From retro arcade classics to the newest titles, Like Super Smash Bros. Ultimate, Fortnite, Minecraft, Super Mario Party, Cuphead, Overwatch, and much much more! Tournaments for: Super Smash Bros. Ultimate. prove who’s the best in the southwest on the latest all-star brawler. with over 70 characters to choose from! Marvel vs Capcom Infinite. It’s not Comic Con without Mahvel! When’s Mahvel Baby? Find out At Albuquerque Comic Con 2019! Dragon Ball FighterZ Goku and friends are here to show us a showdown! Pic your best fighterz and prove who’s the ultimate! Mario Kart Double Dash or Mario Kart 8 Deluxe. Pick your favorite mario character and your favorite ride. Let’s race! Sign up for tournaments the day of at the Las Cruces Game Knights Booth. ABQ Comic Con “Video Game Section”.